Part of the legacy that the American Indians have given us is jerky. 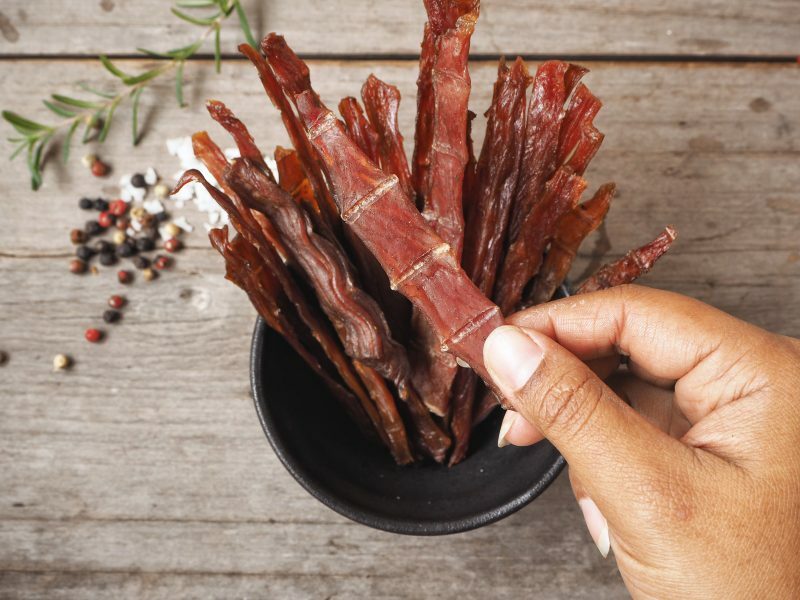 Granted, they were not the only people in the history of the world to dry meat as a means of preserving it; but here in the United States, our fondness for jerky traces its roots to those early inhabitants. While today’s jerky, which is mostly made of beef, may be different to the buffalo or venison jerky they ate, the concept is still the same. 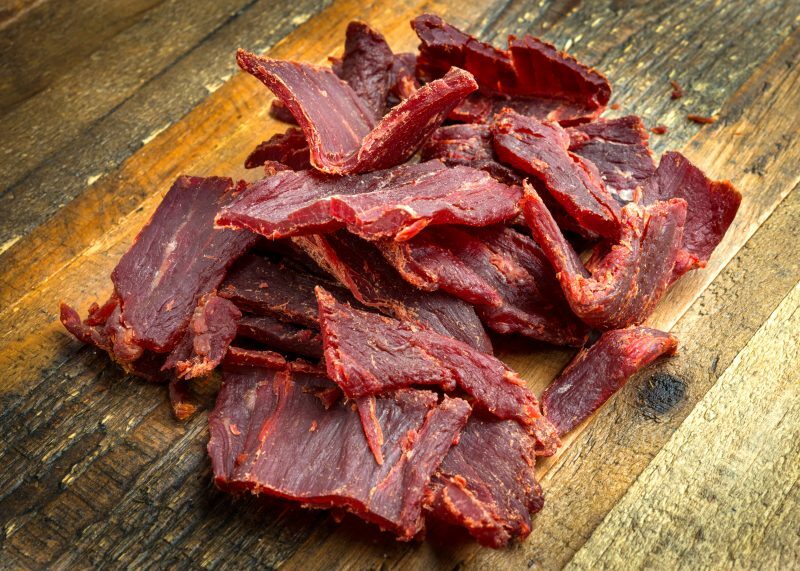 Beef jerky is one of the easiest survival foods to make and keep. Many people eat jerky as a snack, especially while driving. However, jerky isn’t just a snack: it’s one of the best survival foods around. This wonder-food provides us with an easy and effective way of preserving any sort of meat, especially game meat, so that it can be used sometime in the future – even long into the future. The secret is how it preserves. As I’ve never been an American Indian or lived with them, my knowledge of their methods of making jerky is limited to the same sorts of sources as everyone else. I seriously doubt they ran down to the local grocery store for any sort of marinade, so it’s doubtful they had teriyaki jerky or even peppercorn jerky. I’m pretty sure, however, that they still used salt. 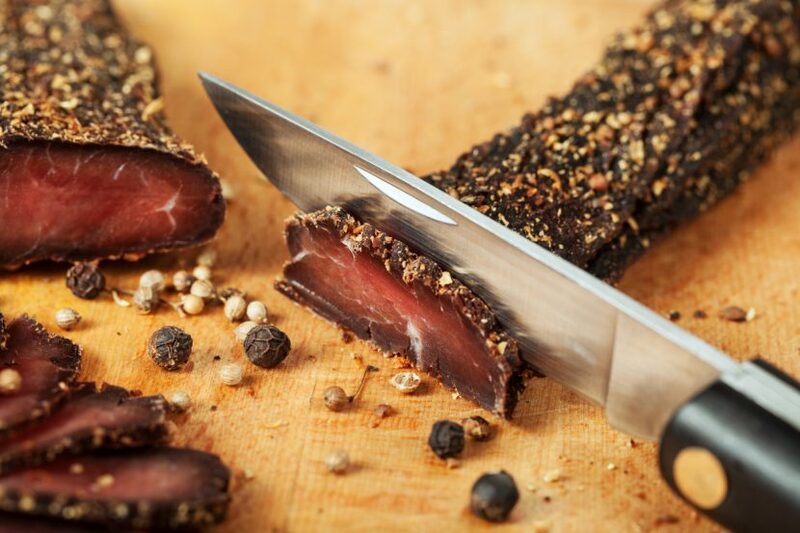 The process of preserving jerky is primarily to protect it from harmful bacteria, which will eat just about anything. 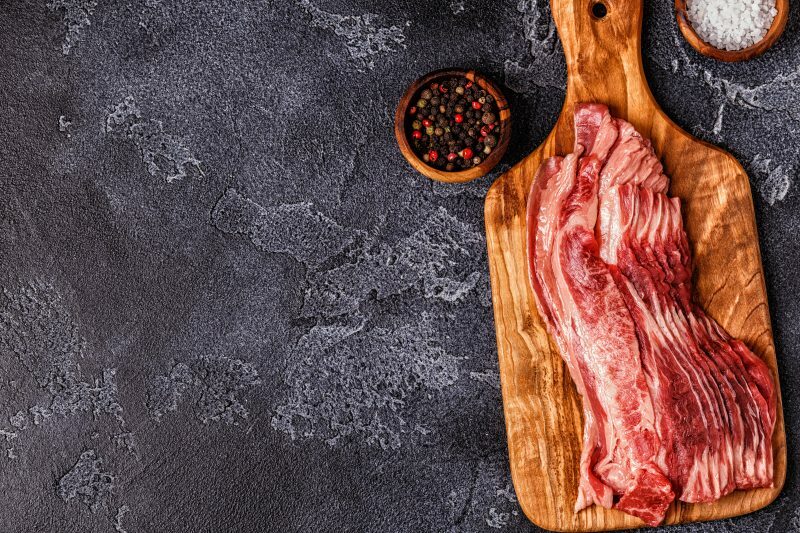 Meat is especially prone to harmful bacteria – much more so than fruit and vegetables because animals have a lot of bacteria living in their bodies, just like we do. Those bacteria must be killed and the environment made hostile to their survival in order to preserve any type of meat. 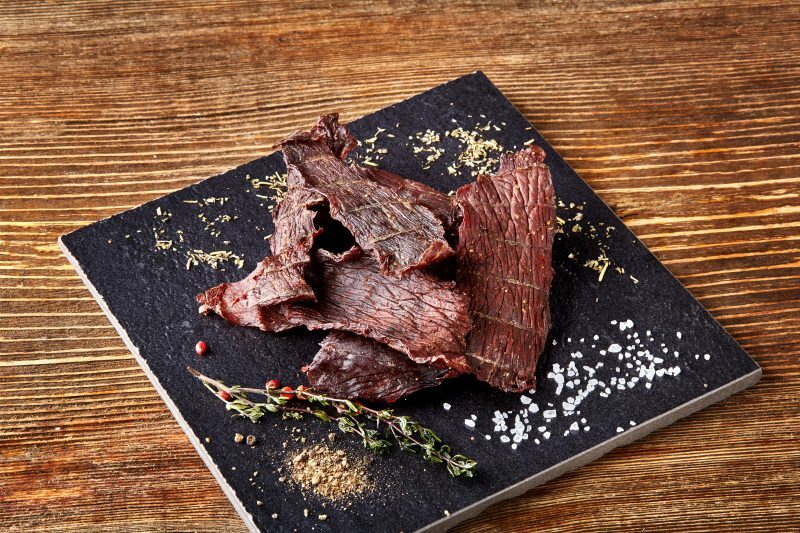 Beef Jerky is preserved with salt. The number one way this is done is with salt. Salt, and to a lesser extent sugar, is nature’s preservative. Rather than using a bunch of chemicals with names we can’t pronounce, jerky is made with normal table salt. Salt preserves things by drawing water out of their cells through a principle known as osmosis. Put simply: because there is a higher salt concentration outside the cells of the meat than there is inside, water in those cells passes across the cell membrane in an attempt to balance the ionic level on both sides of the membrane. You can see this easily enough by putting a piece of meat on a plate and salting it heavily. Within minutes, the salt will have drawn out moisture from the meat. Osmosis also causes cells farther from the surface to transfer water to those close to the surface. Because bacteria are single-celled organisms, this also includes the bacteria. When too much water leaves the bacteria, they die. Once the meat is dried, it becomes a very inhospitable environment for the bacteria, which need a moist environment to survive. The same process of osmosis happens to any new bacteria that are introduced to the meat, causing their water level to drop low enough that it kills them as well. So, once the meat is dried and turned into jerky, it is well protected from bacteria. Jerky can be made from almost any kind of meat, although lean meat is best. While fat will dry, it doesn’t dry as thoroughly as the meat does. There’s also the possibility of the fat turning rancid, which is something we all want to avoid. To start with, the meat needs to be cut into thin strips (1/4″ thick is good) and as much of the fat as possible should be removed. This meat is then soaked in brine (a supersaturated saltwater mixture) or marinaded overnight to infuse it with salt and other flavors. Today, we usually use marinates to add flavor, but jerky can be made without the marinade as long as you have salt to make a brine. To start with, the meat needs to be cut into thin strips (1/4″ thick is good) and as much of the fat as possible should be removed. You must ensure that all surfaces of all the pieces of meat are covered with the brine or marinade. I find it necessary to mix the batch every few hours as it soaks to ensure this. Otherwise, surfaces that are in the middle of the mass that are in direct contact with another piece of meat throughout the marinating process might not get enough salt. The Indians probably used salt in this process, but it is unknown whether they used any sort of spices. This is unlikely because they didn’t really use spices in their cooking. The meat is then dried, removing the water and leaving something about the consistency of leather. 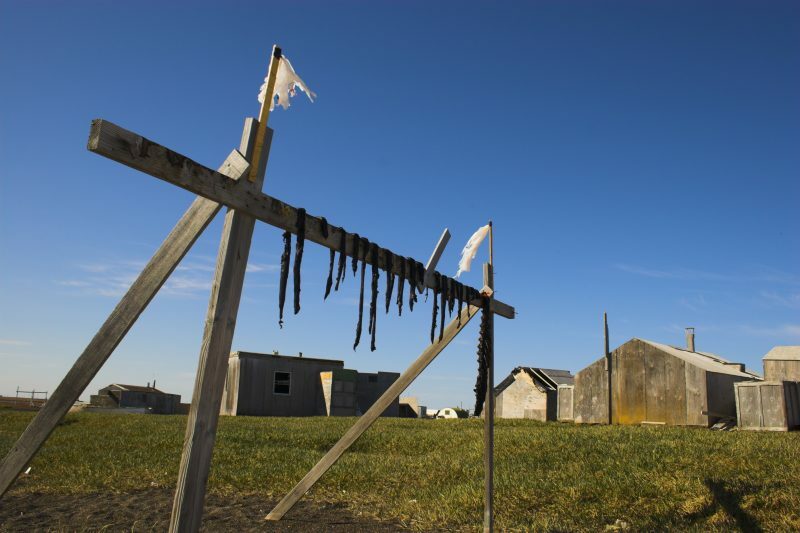 Traditionally, the Indians dried their jerky over thin poles raised up off the ground to keep dogs and other animals from getting to it. Bark was peeled off the poles to provide a clean surface for the meat to hang from. Today, we usually make jerky in a dehydrator by setting the temperature at around 165°F. This is considerably faster than drying meat in the sun and takes only about four hours (depending on the thickness of the meat). If you don’t have a dehydrator, you can do this in your oven at its lowest setting; but you have to be careful and check your oven frequently to ensure that the meat doesn’t slow cook instead of just drying out. Another means of drying the meat is a solar dehydrator. This harnesses the power of the sun to generate heat. It works in much the same way as an electric dehydrator but without the need to use electrical power. A solar dehydrator is essentially the same thing as a solar oven. It’s essentially a box with a sloping glass top. The inside of the box should be painted flat black to absorb sunlight and convert it to heat. Reflector “wings” can be attached to reflect more sunlight into the oven, thereby increasing the heat generated. A thermometer is not necessary, although it is useful to make sure that you don’t cook the meat instead of drying it. Jerky will store for a considerable amount of time at room temperature as long as it was well marinated and dried. If you want to keep it for an extended time, for use by your family, I still recommend storing it in the refrigerator or freezer. For true long-term storage, seal the jerky in aluminized Mylar bags with oxygen absorbers, just like storing other dry foods. Be sure to keep the jerky in a cool area, as heat will cause additional fat to leech out of the dried meat. I generally make large batches of jerky in one go, using about ten pounds of meat. A small amount is always set aside and left out of the fridge in a sealed plastic bag for monitoring. As long as that sample is good and is not growing mold, I assume the rest of the batch is good; but if I see that it starts growing mold, I’ll pull out the rest of the batch, sort it, and use it up quickly. This means that it wasn’t marinated sufficiently and isn’t going to last a long time.